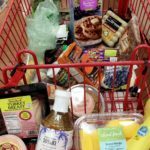 #FABBagFind Alert! 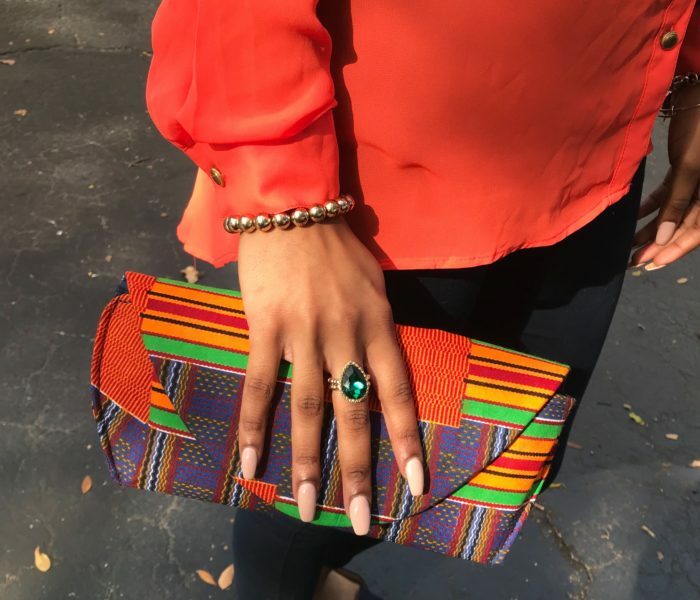 : African Print Clutch! Handmade by HappySong Emporium! Absolutely head over heels about my new handmade clutch! 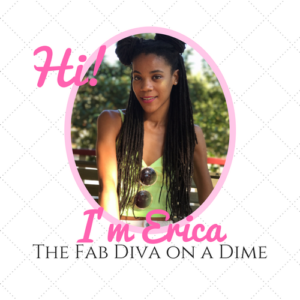 Not only is it fab and handcrafted, it was created by my beautiful Aunt Cynthia! As long as I’ve been on earth, my amazingly loving Aunt Cinnie has been an artist. A professional everyday, but she has never let her creativity go too far. Whether it’s her amazing paintings that adorn my grandparents’ home, her delicately beaded pieces of jewelry, or her books of wisdom, she is truly gifted! When I went on a little trip to Daytona with my family, I was able to gaze upon my Aunt’s amazing collection of handbags! Whether a clutch, tote or backpack, she had it ALL and all handmade with you in mind. I had my eyes on a gorgeous leatherette/African print backpack but when I turned back a few minutes later, it was gone!! Lucky for me, the clutch I was eyeing was still available! And I snagged it for the low price of $20! 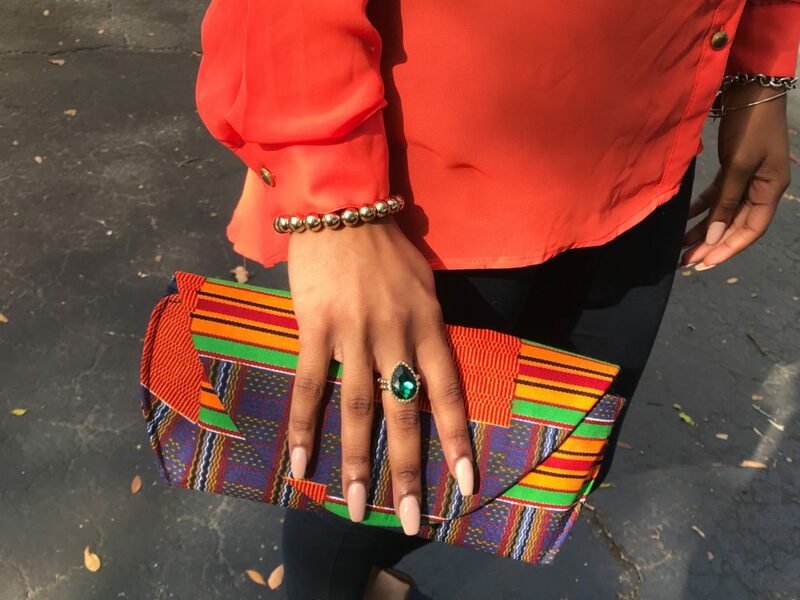 Perfectly stitched and with a beautiful care card tucked inside, this clutch is the first of many from the HappySong collection to bless my closet! 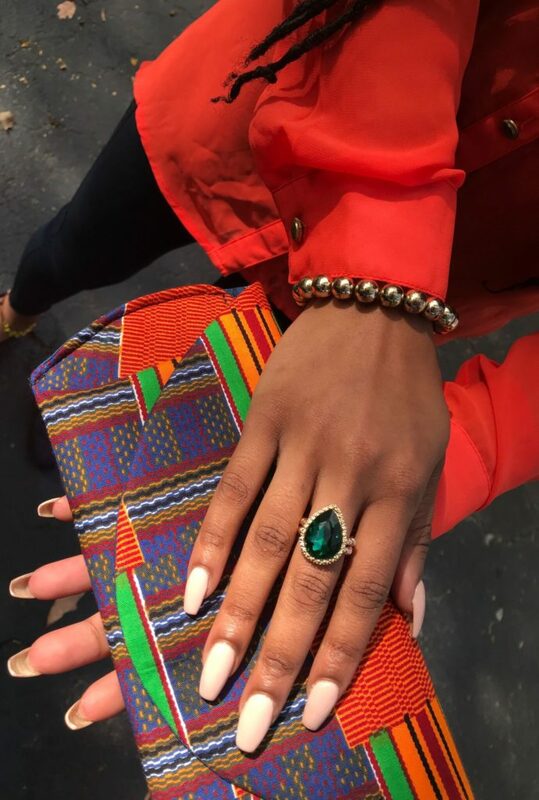 I can’t wait to pair this with a few darker outfits so the clutch can truly get it’s own shine! It may seem small in pics, but believe me, I’m getting my moneys worth with the space available! No matter your style, Happysong Emporium has your custom style in mind! All purchase can be made on the HappySong Etsy! My next buy? I’m designing my custom backpack as we speak! And that fabulous ring? From the boutique of Lady Diana O. herself! 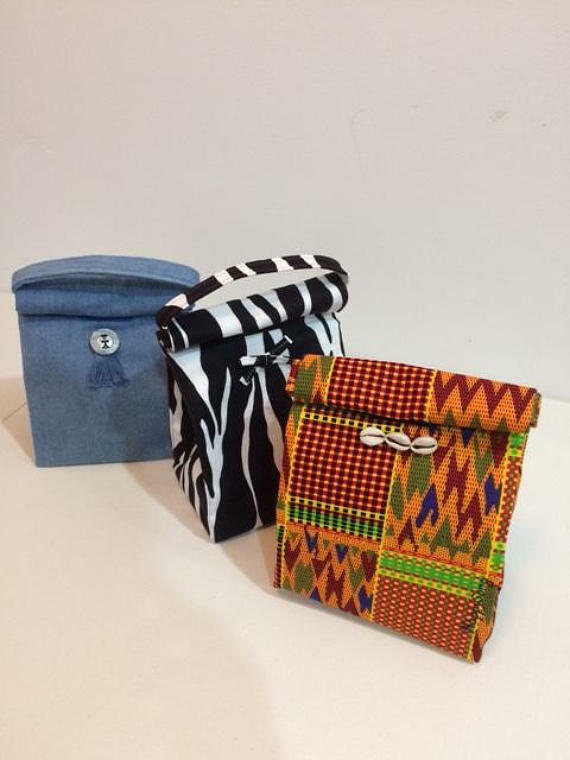 Want to grab a fabulous clutch like mine or custom make your own FabBag? Visit www.happysongcrafts.com and her Etsy Page to order! 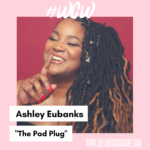 WCW: Ashley L. Eubanks, "The Pad Plug"